Self catering accommodation in Axminster, which lies close to the Devon and Dorset border provides the ideal base for those wishing to explore the best of what these two counties has to offer. When staying at one of our self-catering cottages in and around Axminster, you are just a few miles inland from the Jurassic Coast World Heritage site, as well as being surrounded by quaint villages and unspoilt Devon countryside. 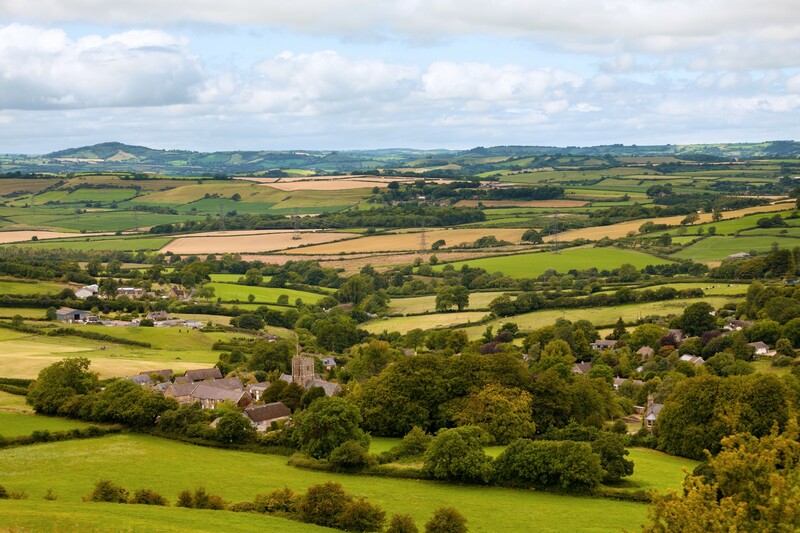 This market town of Axminster lies in the beautiful Axe valley, an area of outstanding beauty and Axminster along with its surrounding villages is home to a wonderful selection of holiday cottages from cosy rural retreats for two, dog friendly properties and holiday lets for families. Tucked away on the eastern ege of Devon, Axminster offers plenty of good quality accommodation for those looking for a quiet rural getaway. Located just a couple of miles from Axminster is Lea Hill Cottages, a collectionb of four, character holiday homes sleeping 2-6 guests. These dog friendly holiday cottages near Axminster are ideal for famiies or couples looking to explore this stunning area. Axminster itself offers plenty of character and charm with numerous independent shops, a department store, art galleries and good quality places to eat. Visitors are invited to follow the Axminster Art Trail, where art and sculptures represent the town’s heritage. Originally famous for its carpets (dating back to 1755), today celebrity chef Hugh Fearnley Whittingstall has chosen to home his River Cottage HQ just outside the town and you’ll find his award winning Canteen and Deli situated right in the heart of Axminster. There are many fabulous walks in the East Devon area, including the East Devon Way, around the Axe Estuary and towards the Axmouth to Lyme Regis Undercliffs National Nature Reserve. For cyclists, cycle tracks include the Buzzard Route Cycle Track and trails into Dorset towards Lyme Regis. Things to do include the Axe Valley Wildlife Park, and Lyme Regis is just 5 miles away and home to a marine aquarium and museum. There are also several National Trust places to visit nearby, including Shute Barton and Loughwood Meeting House. Axminster also has some excellent transport links, and is on the main London-Plymouth railway line. Exeter Airport is also only 20 miles from Axminster.